Thank God so much for giving me the great chance to come over CNC, the Philippines to study and experience so many fantastic things there. Travel broadens your mind. It is more wonderful to combine travel and study. I tried and it is much more awesome than I expected. My 60-day stay in CNC is my greatest and most memorable time ever. I’ve not only improved my English skills and score, but also learned so many interesting things. My busy schedule started when I took my first IELTS diagnostic test and I got 3.5 overall. I told my teachers that I wanted to get 7.0 so they tried their best to help me achieve that goal. 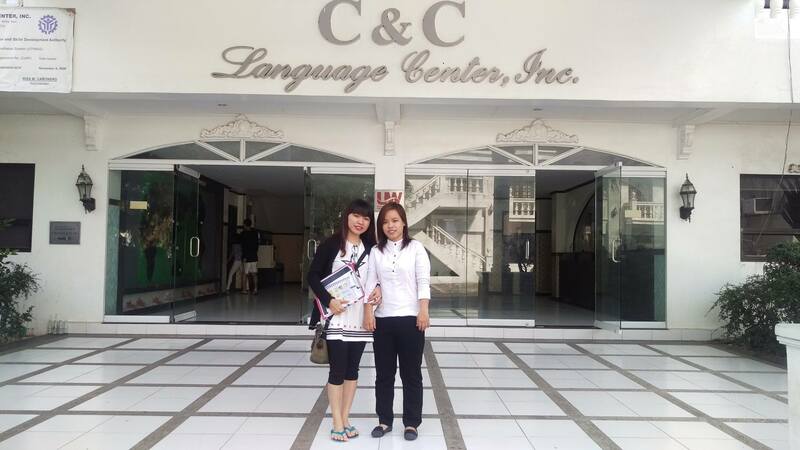 CNC has a really good environment for me and other students to practice speaking English. I spoke English every time with my dear teachers and friends. It was a little pity that I had a nonstop study schedule so I didn’t have much time talking to my friends. When I was there, I felt like time flew so fast. My IELTS score increased slightly from 3.5 to 5.5 over the 2 months period. After coming back to Vietnam, I spent another month practicing as well as reviewing the test. I took the official IELTS exam and I got 6.5. I feel really happy and thankful even though I still can’t reach 7.0, my target score. Another thing much more important than my English skills improvement is that I’ve earned so many cool and awesome friends from the Philippines, Korea, Japan, Taiwan and China. This chance makes me never ever feel regretful, but it is far worthier than what I paid. “Making a new friend is reducing an enemy”, this is one of my favorite quotes. That was why I tried to make friends with almost everyone there. Now I still keep in touch with them. Thanks to the Internet, I mean Mr.Wife, distance is nothing ^^. I just wish I would have more time to talk to them and update more information about their lives. I wanna say thanks to everyone I’ve met. First, to Ms.Thuy, my friend’s friend’s sister-in-law ^^, for introducing me about CNC, helping me a lot and encouraging me to go over the Philippines. Second, to Sunny, my Vietnamese Manager, thanks for being my friend as well as my LITTLE mom ^^ hahaha! Third, I also want to thank all kind and enthusiastic staffs in CNC who gave a lot of assistance to me and share their knowledge with me. Last but not least, thank all of my friends for spending your precious time with me. Love you all!! hope all of you are always happy and successful in your life! !